회화나무는 모양이 둥글고 온화하여 중국에서는 높은 관리의 무덤이나 선비의 집에 즐겨 심었다. 우리나라에서는 중국을 왕래하던 사신들이 들여와 향교나 사찰 등에 심었다. 특히, 회화나무는 활엽수 중 공해에 가장 강한 나무로 가로수나 공원수로도 활용된다. 함안 영동리 회화나무는 나이가 500년 정도로 추정되며, 높이는 19.5m이고, 둘레는 5.78m로 가지는 사방으로 길게 뻗어 있다. 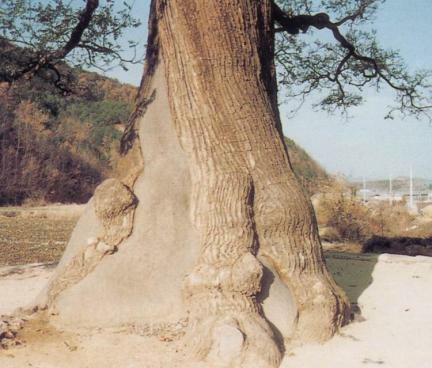 1482년 광주 안씨의 22대조이며 성균관 훈도를 지낸 안여거(安汝居)가 영동리에 정착하면서 심은 것이라고 한다. 마을사람들은 이 나무가 마을을 지켜주는 신성한 나무라고 믿고 있으며, 매년 음력 10월 1일에는 나무 앞에서 제사를 지내 왔다. 함안 영동리 회화나무는 오랜 세월동안 조상들의 관심과 보살핌 속에 자라왔으며, 문화적·생물학적 자료로서의 가치가 높아 천연기념물로 지정하여 보호하고 있다. 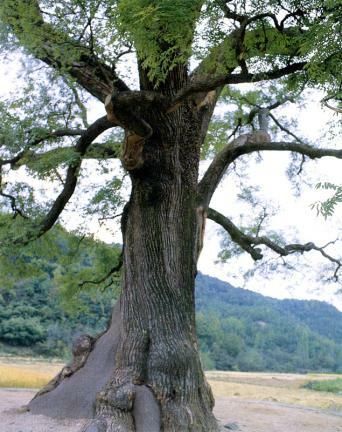 Because the shape of the Pagoda Tree is round and its posture looks gentle, this tree used to be planted in scholars' houses or near the tombs of high-ranking government officials in China. 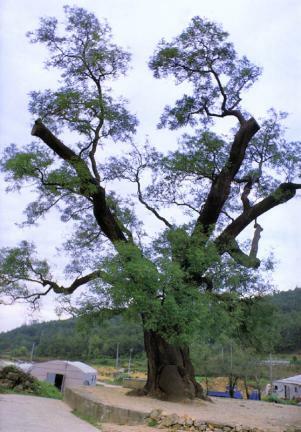 In Korea, this tree was introduced by envoys and planted in Confucian schools and Buddhist temples. 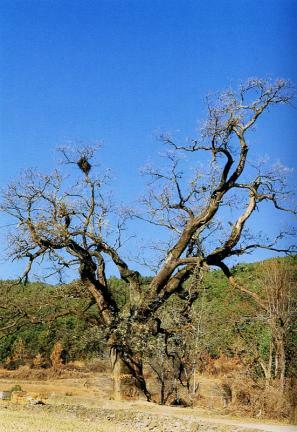 This tree is also one of the strongest trees among all the deciduous trees, thus usually planted on the roadside and in the park. 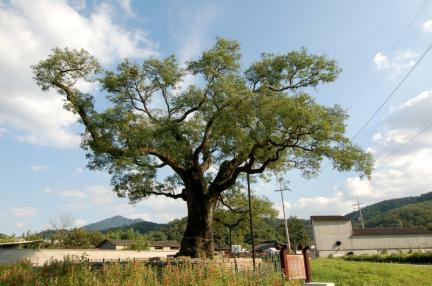 The Pagoda Tree in Chilbuk-myeon is about 500 years old, with height of 19.5m and girth of 5.78m. 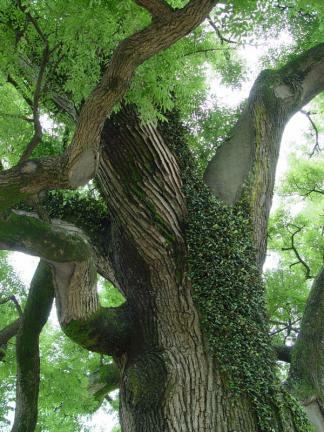 The branches of this tree spread to all sides. 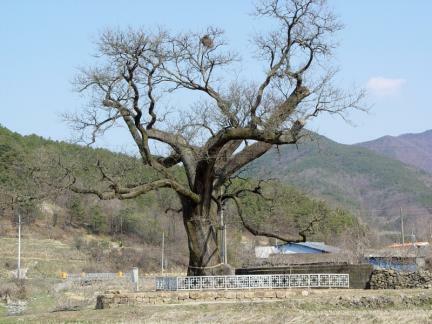 According to history, this tree was planted in Yeongdong-ri in 1482 by An Yeo-geo. 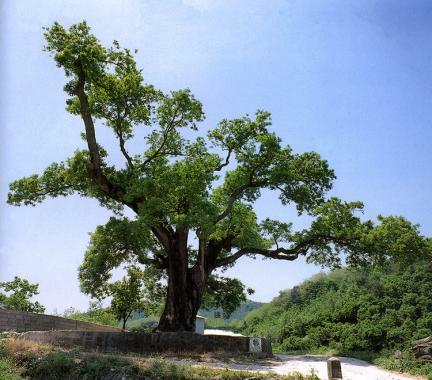 The villagers in this town have believed that this tree protects the town and have performed a ritual for the tree every first of October. 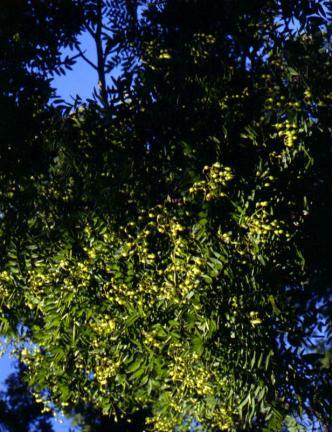 Since the Pagoda Tree in Chilbuk-myeon has been under our ancestors' care and protection and is also biologically valuable, it is designated and protected as a Natural Monument.